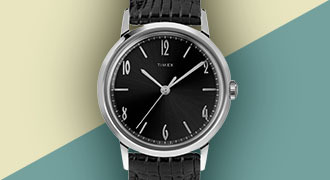 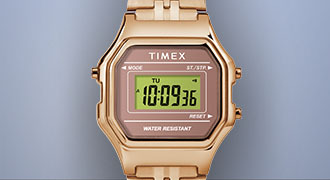 With its careful attention to detail, the Timex Standard shines as one of our most refined everyday watches. 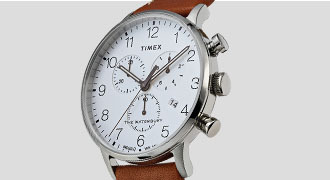 Designed with versatility in mind, this watch brings together classic elements with modern materials and easily interchangeable straps. 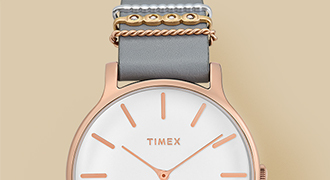 The black dial and tan leather strap are complemented by the lightweight gold-tone case and traditional oversized crown, a nod to our original pocket watch.